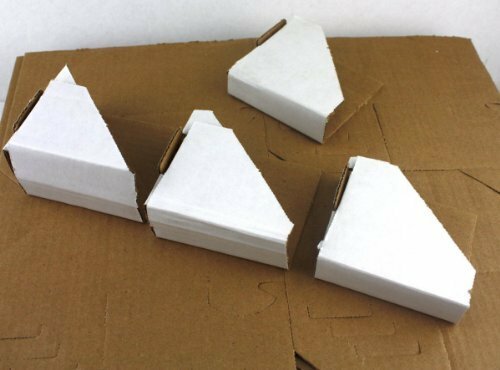 These cardboard picture frame corners are easily assembled in just seconds and can be removed and reused. Each one has a triangle tab to lock on the moulding so it won't fall off from the picture frames. 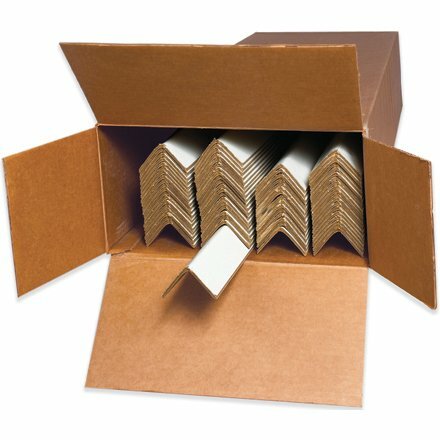 These protectors are used to protect picture frames and other similar items when shipping, moving or in storage. 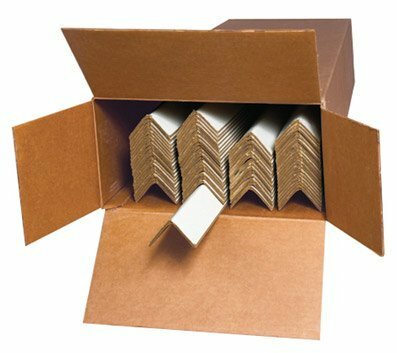 Pack includes 48, 3-way adjustable picture frame corner protectors. Measure about 4 x 4 visual size and fold 3 ways to fit frames from 1/2 - 2 deep. Each picture frame normally will use four corner protectors. Fold-in locking tab so they won't fall off from the picture frame. Aviditi cased edge protectors are perfect for low volume users. Convenient case packs save space. Secure edge protector to load with stretch film, steel strapping or poly strapping. Available in white color. Measures 48-inches length by 2-inches width by 2-inches height. 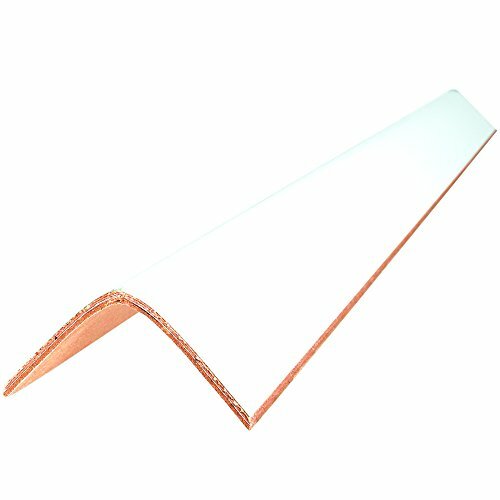 3" x 3" x 48" .160 Edge Protectors - Cased. Cased edge protectors are perfect for low volume users. Convenient case packs save space. Secure edge protector to load with stretch film, steel strapping or poly strapping. Aviditi cased edge protectors are perfect for low volume users. Convenient case packs save space. Secure edge protector to load with stretch film, steel strapping or poly strapping. Available in white color. Measures 36-inches length by 3-inches width by 3-inches height. Aviditi cased edge protectors are perfect for low volume users. Convenient case packs save space. Secure edge protector to load with stretch film, steel strapping or poly strapping. Available in white color. Measures 48-inches length by 3-inches width by 3-inches height. 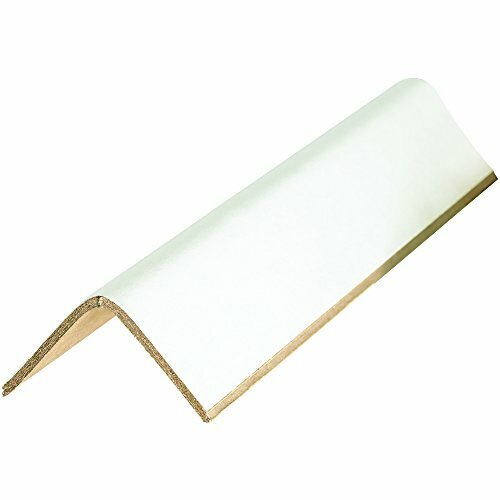 3" x 3" x 72" .120 Edge Protectors - Cased. Cased edge protectors are perfect for low volume users. Use to stabilize loads and improve stacking strength when shipping. Stabilizes strapped or stretch-wrapped loads. Provides additional support when double stacking pallets in warehouse. Eliminates shifting loads. Convenient case packs save space. 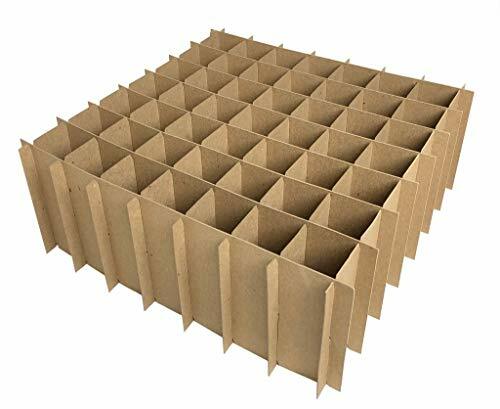 Box dividers. Pack of 50 pieces. 49 Cell Assembled Set for 2 oz (60ml) Boston Round. Cell Size: 1.5" x 1.5" x 4.5". Thickness: .024pt Chipboard. Designed to fit inside any 12 x 12 box. It perfectly fits the large 12 x 12 flat rate USPS box. Ideal for e-liquid juice vapor cigarettes, essential oils, cosmetics bottles. Made in the USA. It perfectly fits the large 12 x 12 flat rate USPS box. Made in the USA. Aviditi cased edge protectors are perfect for low volume users. Convenient case packs save space. Secure edge protector to load with stretch film, steel strapping or poly strapping. Available in white color. 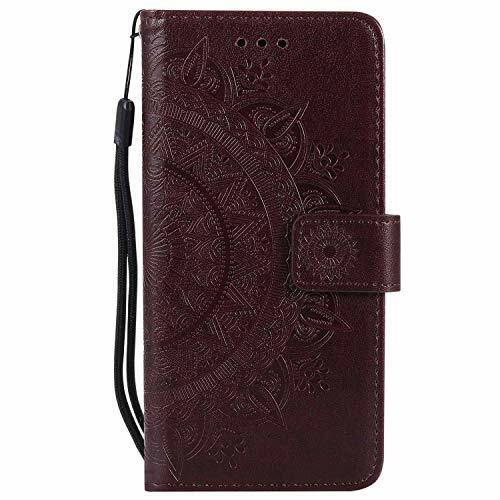 Measures 24-inches length by 3-inches width by 3-inches height. 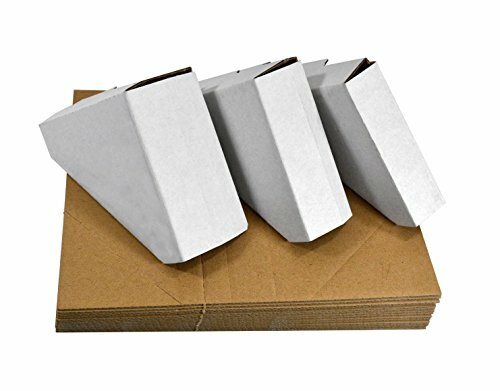 2" x 2" x 12" .120 Edge Protectors - Cased. Cased edge protectors are perfect for low volume users. Use to stabilize loads and improve stacking strength when shipping. Stabilizes strapped or stretch-wrapped loads. Provides additional support when double stacking pallets in warehouse. Eliminates shifting loads. Convenient case packs save space. 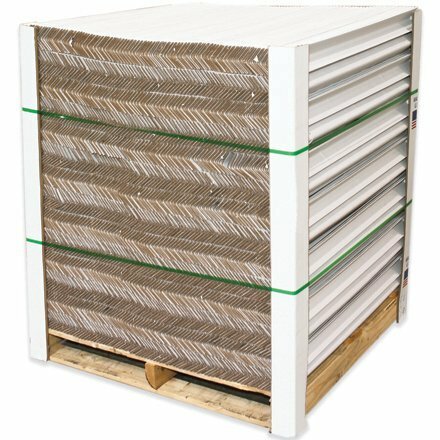 2" x 2" x 30" .120 Edge Protectors - Cased. Cased edge protectors are perfect for low volume users. Use to stabilize loads and improve stacking strength when shipping. Stabilizes strapped or stretch-wrapped loads. Provides additional support when double stacking pallets in warehouse. Eliminates shifting loads. Convenient case packs save space. Aviditi cased edge protectors are perfect for low volume users. Convenient case packs save space. Secure edge protector to load with stretch film, steel strapping or poly strapping. Available in white color. Measures 36-inches length by 2-inches width by 2-inches height. 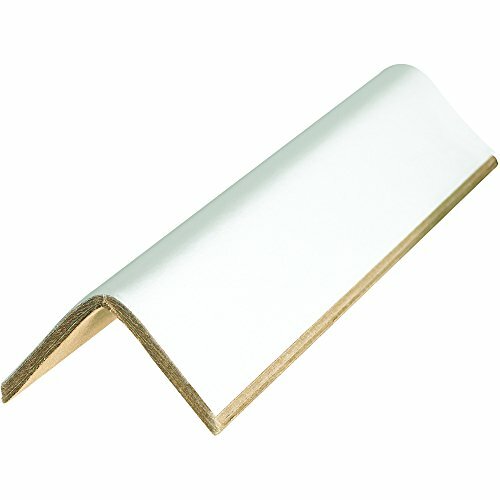 2" x 2" x 72" .120 Edge Protectors - Cased. Cased edge protectors are perfect for low volume users. Use to stabilize loads and improve stacking strength when shipping. Stabilizes strapped or stretch-wrapped loads. Provides additional support when double stacking pallets in warehouse. Eliminates shifting loads. Convenient case packs save space. 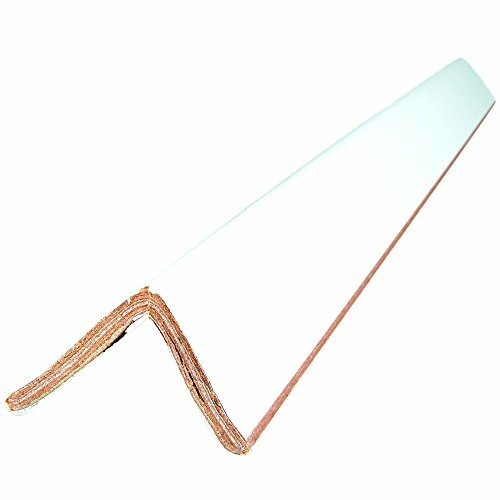 2 inch x 2 inch x 72 inch .225 edge Protectors - cased. Cased edge Protectors are perfect for low volume users. Use to stabilize loads and improve stacking strength when shipping. Stabilizes strapped or stretch-wrapped loads. Provides additional support when double stacking pallets in warehouse. Eliminates shifting loads. Convenient case packs save space. Exceed most self adhesive felt pads.They grip the chair legs gently and securely without falingl off. 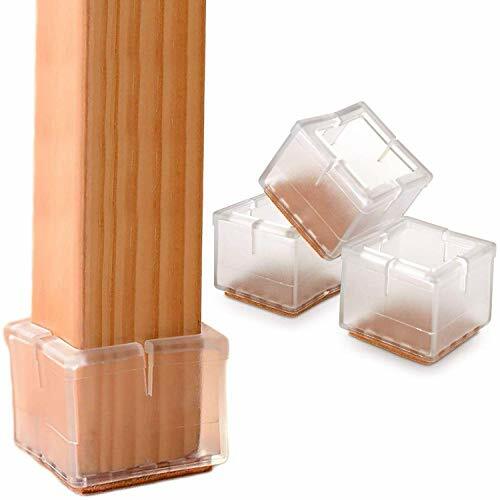 Fit square chair legs with length from 1-1/8 inch to 1-3/8 inch (3-3.5cm). Color: Clear& transparent-virtually invisible. Note: Not for slanted chairs. Excellent Craftmanship:Soft and durable silicone which is fused with the felt via thermal compression withstands the rigors of everyday use.Thicker chair caps to ensure higher durability. 100% nontoxic, safe for children & pets. Durable & Friction Free:With cushioned felt-padded bottom base to allow your chairs to glide smoothly and quietly along any floor to prevent scratches, scrapes or harsh grating, and help protect tile and wood floors & furniture legs and making moving chairs more easily.